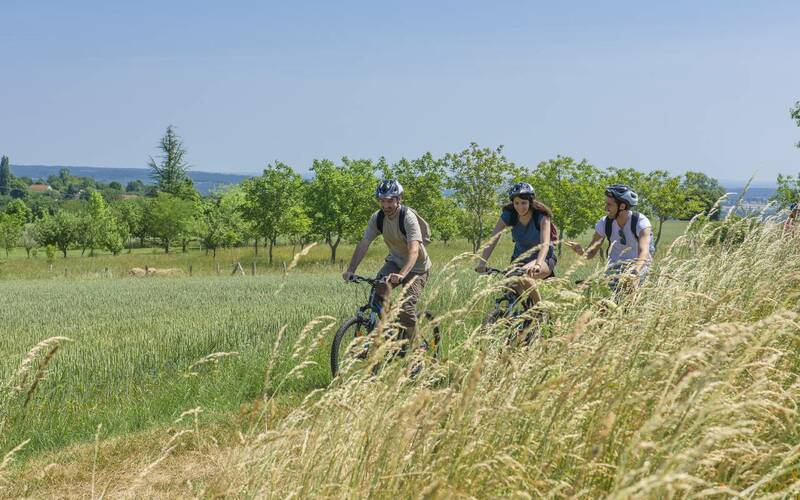 Whether you're travelling alone, with family or with a partner, Château d’Ygrande has a range of leisure activities for guests of all ages, all year round. You're sure to find something to suit your tastes within the stunning 40-hectare grounds or in the surrounding area. 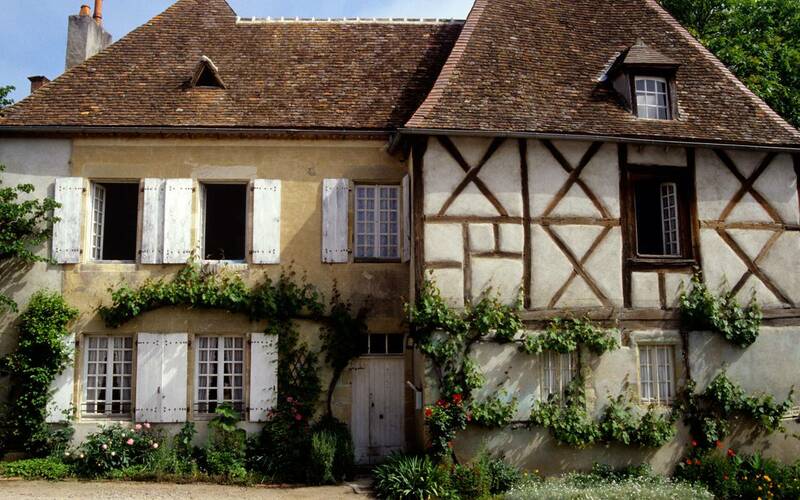 The Allier is a Bourbonnais region that is bursting with activities and attractions. In fact, there's so much to do in this stunning, clean, peaceful land that you'll need to come back time and again to fit everything in. Activities include relaxation, spa treatments, swimming, walking, cycling, horse-riding, cookery lessons, exploring the rich Bourbonnais heritage (Romanesque churches, abbeys, medieval châteaux) and its remarkable gardens, several theme parks and leisure parks, the Saint-Pourçain vineyards and local produce, walks through Europe's most stunning oak forest, and numerous listed villages. The pool is tucked away in the gardens, surrounded by the orchard, the vegetable garden and the vast lawns where you can relax in the sunshine. Unsupervised pool, reserved for hotel guests only. Baignade sans surveillance, accès gratuit réservé aux clients de l’hôtel. 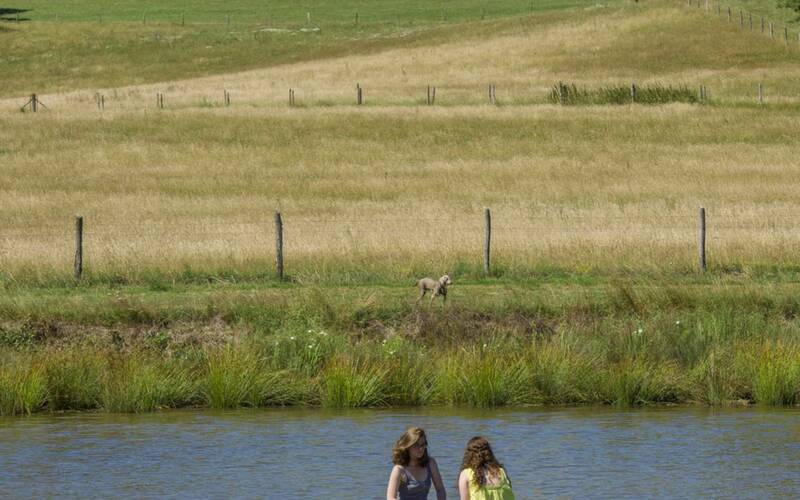 The grounds span 40 hectares and are criss-crossed with footpaths that pass through the woods and meadows, taking visitors to the boundaries of the property towards the fishing lake. Guests have access to the wellness area on the first floor. The treatments and massages are delivered by highly skilled professionals. The facility also includes a steam room for the ultimate in relaxation. Advance booking required at reception. Prices: €99 for a one-hour treatment, €20 per person for a private 20-minute steam room session. Guests can use the bicycles available on site free of charge. Contact reception for information. Also see the "cycling tourism" activity. The lake is emptied and re-stocked with fish every year. 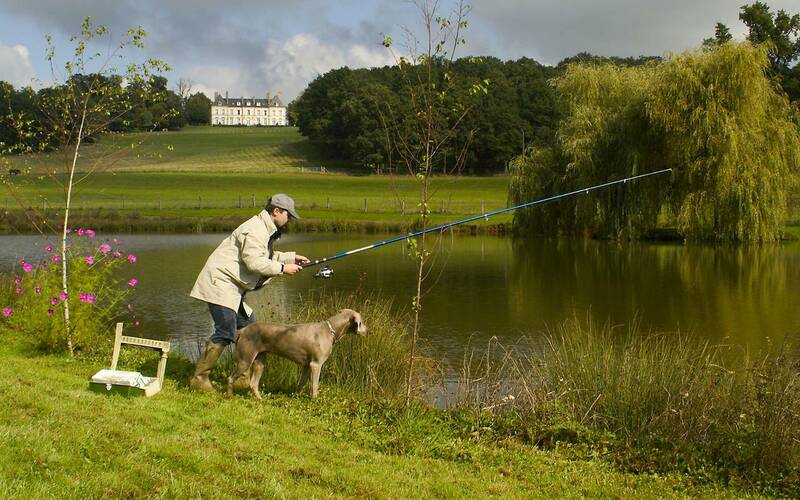 Fishing enthusiasts can try their hand at carp fishing while children can fish for gudgeon. The educational vegetable garden is our project for the future. Our gardeners are on-hand to answer your questions and teach you about the joys of growing your own food. 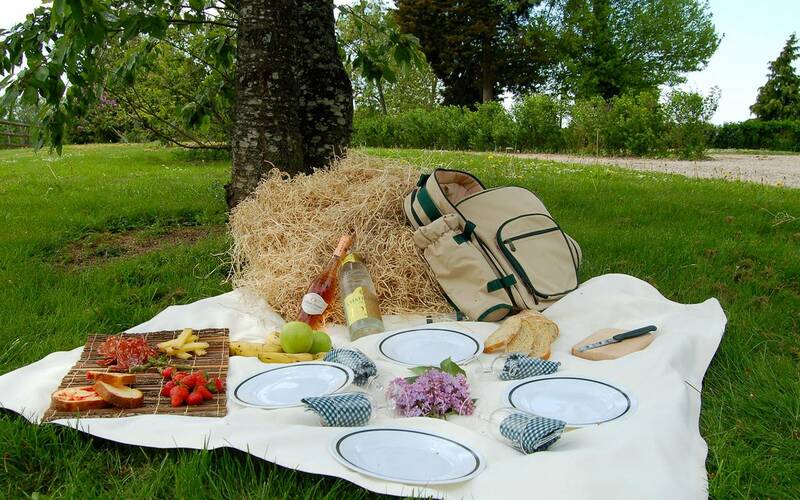 Guests can try produce from the orchards between June and October. The library boasts an extensive collection of works, including art books, novels, crime fiction and comic books. All books are available for guest use. These bright, comfortable rooms are set against a backdrop of classical and jazz music. And when summer finally makes way for autumn, the open fireplaces are lit to keep the premises warm. A French billiards table can be found on the first floor, and is open until 11 pm. Our more adventurous guests will find a small rowing boat available in the lake. The sumptuous thermal baths at Bourbon L'Achambault (7 km away), with their exquisite earthenware and wooden décor, are the perfect place to recharge your batteries, with restorative baths, hydro-massage showers, high-pressure jets, steam baths, etc. 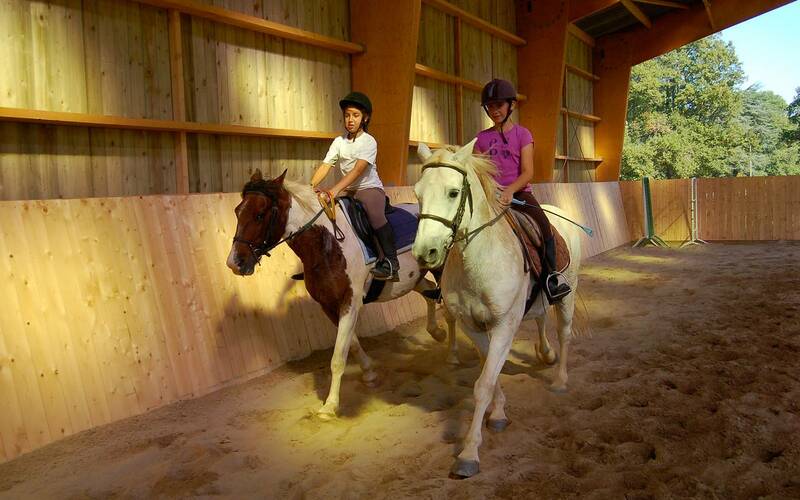 Younger guests can explore the château grounds in the saddle, on a pony guided by a halter. 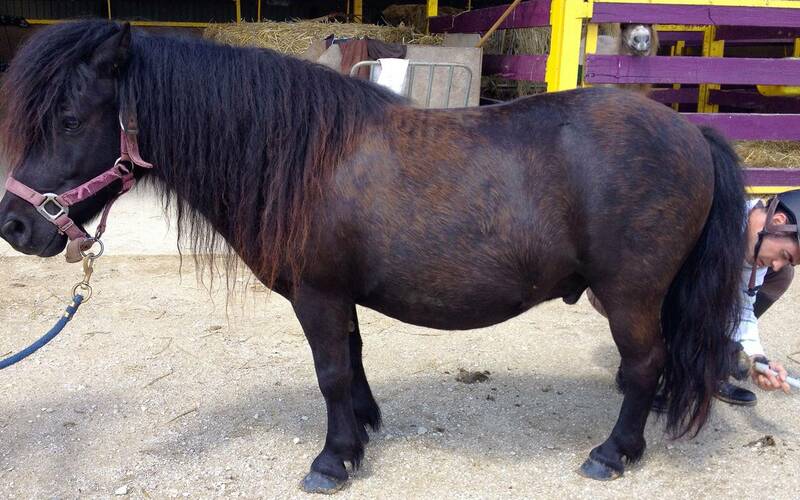 Have you never ridden a horse before but always wanted to try? Now you can, in a fully safe and secure environment. 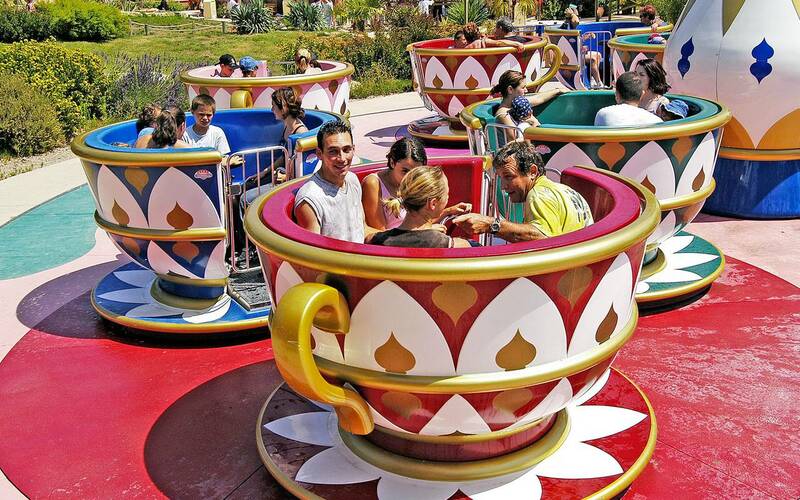 The PAL is a theme park and zoo in one, set among unique grounds of 50 hectares. It is one of France's most popular destinations, with 26 permanent attractions and 600 animals, some of whom live in free range conditions. Open from 11 April to 27 September 2015. 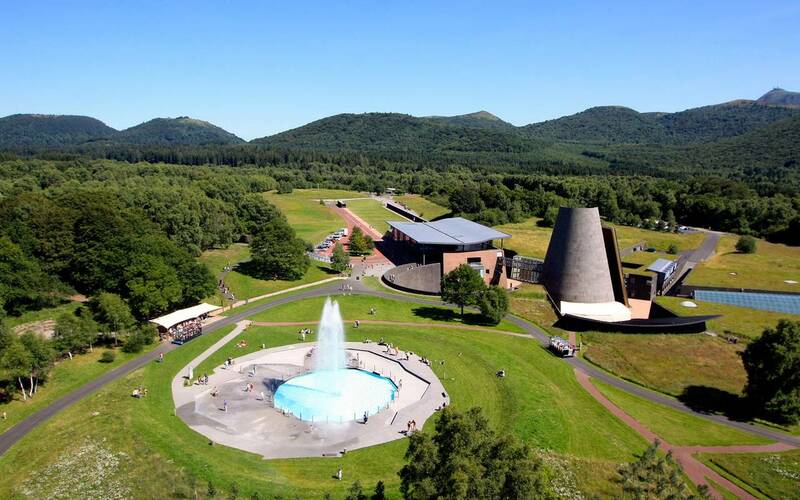 Head to the Auvergne Volcanoes, explore the mysteries of the Earth and learn what lies beneath our feet. Get ready to experience the awesome power of volcanoes and the forces of nature through animations, attractions, 3D and 5D films and dynamic platforms. 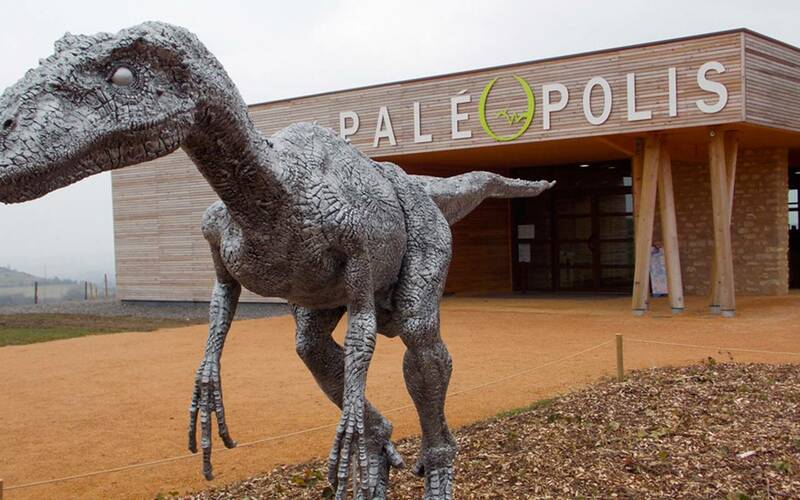 A theme park dedicated to palaeontology and the history of life on Earth. Under the presidency of Yves Coppens, an exhibition, outdoor attractions, a cinema and children's workshops, taking visitors on a fascinating voyage through the history of life. Take an unusual journey (1 hour 45 minutes) on a "vélorail" (cycle rail) through the Bourbonnais countryside and the former coal mines, and enjoy an unspoilt view of the magnificent Messarges lake from the top of the viaduct. Open from 1 April to 30 October. National Centre of Costume and Scenography (CNCS) is the world's first conservation facility entirely dedicated to preserving the heritage of theatres and opera houses. The Anne of France Museum is housed in the leading French Renaissance monument. It holds classical archaeology collections, Bourbonnais medieval sculptures, Moulins decorative art from the 18th century and paintings from the 19th century. The mysterious Maison de Mantin is named after the man who built and owned it in the 19th century. He wanted to leave his house to future visitors, and it reopened its doors for the very first time in 2010, some 100 years after his death. It contains incredible golden leather items, Aubusson tapestries, and ancient stained glass windows that cast incredible light into each room. The exhibition tells the story of the "peasant writer" Emille Guillaumin (1873-1951), the first writer to defend the cause of the peasant class. The museum displays his works and recounts his daily life. Open from 1 May to 30 September, 3 pm to 6 pm on Thursday, Saturday and Sunday. 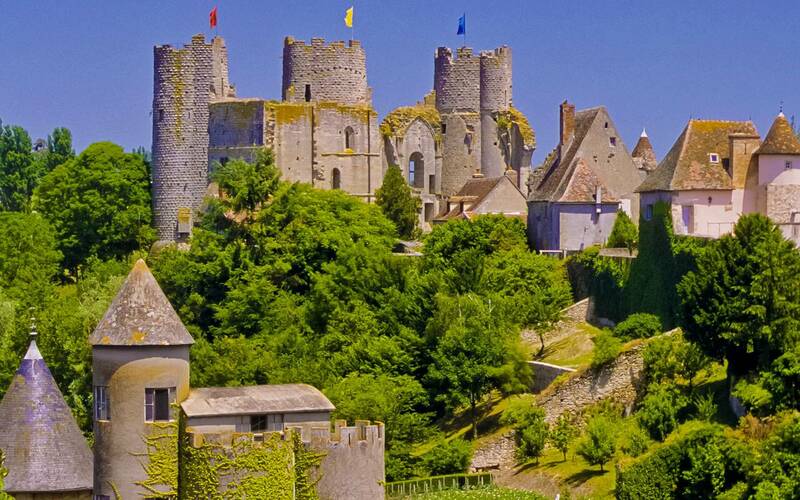 The ancient fortified city of Charroux lies to the south of the department and is recognised as one of the "Most Beautiful Villages in France". The summit of its hill provides commanding views over the magnificent 15th-18th century façades, narrow pedestrian streets and small squares, arranged around a well. Artisan produce, including the famous Charroux mustard. This charming, picturesque village is located near the Saint-Pourçain vineyards and still has some remains of its castle. Stunning ancient houses. Clothes Iron Museum! 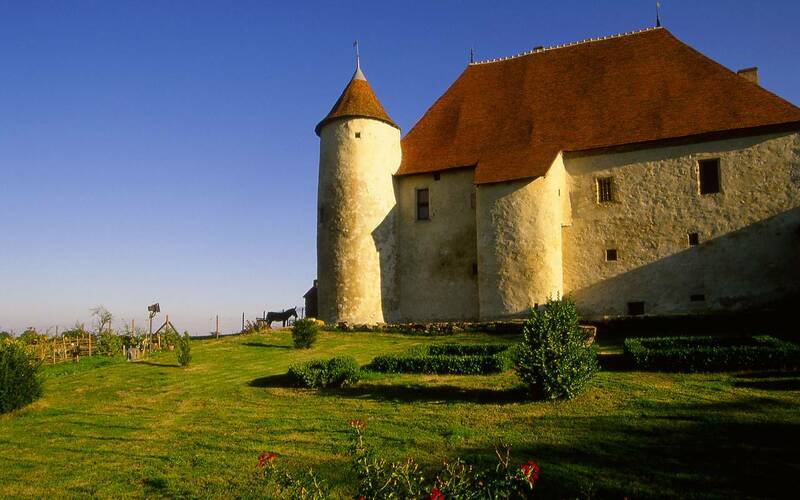 This medieval fortress has just three of its original towers remaining. The so-called "Qui qu’en grogne" tower is perched on a headland overlooking the picturesque town of Bourbon l’Archambault. Take a step back in time with a guide in traditional dress and explore life at the castle in the Middle Ages. Magnificent views from the top of the towers. A stunning 12th to 16th century edifice, impressive due to its size and its position over looking the Besbre river in the centre of the town. Tour of the inside and the gardens. Open from April to November, 9 am to 3 pm and 2 pm to 6 pm. This is one of the last châteaux in the Bourbonnais that belongs to the descendants of the Bourbons. Built at the advent of the classical style, the inside of the château is closed to visitors but it is worth viewing from the outside. This small, late 15th-century château is open to visitors, with a guided tour given by the owner. Yet this is anything but a stately manor – come and explore the more colourful side of a château's history! 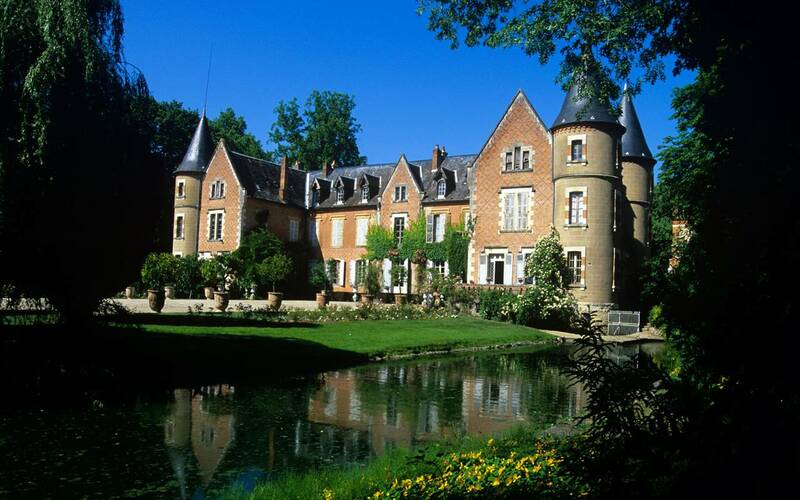 The Château de Meillant is the jewel of the Berry, and an iconic piece of flamboyant Gothic architecture. 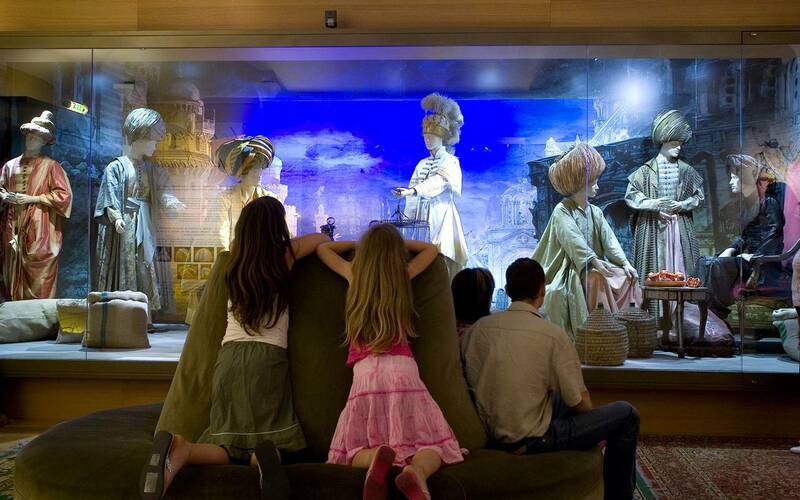 It is fully furnished, and the most sumptuous of its 90 rooms are open to visitors. Its layout, decoration and furniture are truly remarkable. Open from 1 March to 15 November, 10 am to 12 noon and 2 pm to 6 pm. 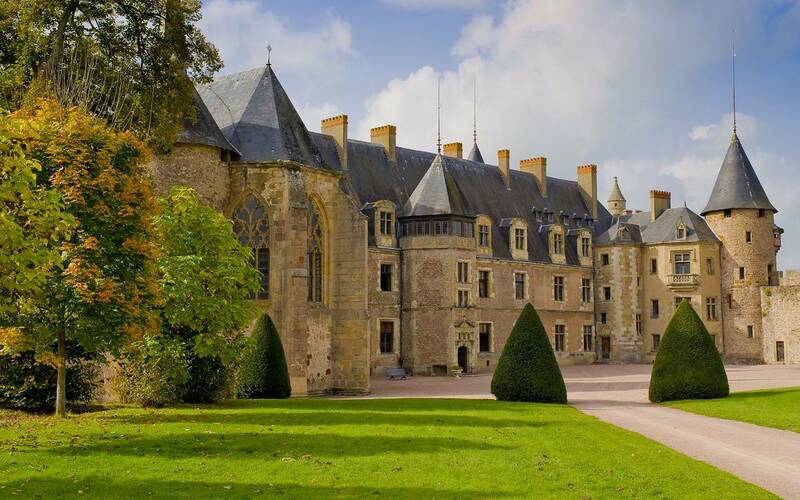 The château is near Apremont, the picturesque "village of 13 châteaux", and is open all year round for guided tours by the owner, including the inside, outbuildings (small museum dedicated to hunting with hounds), gardens and grounds. Open weekends in May, June, September and October, and 7 days a week in July and August. 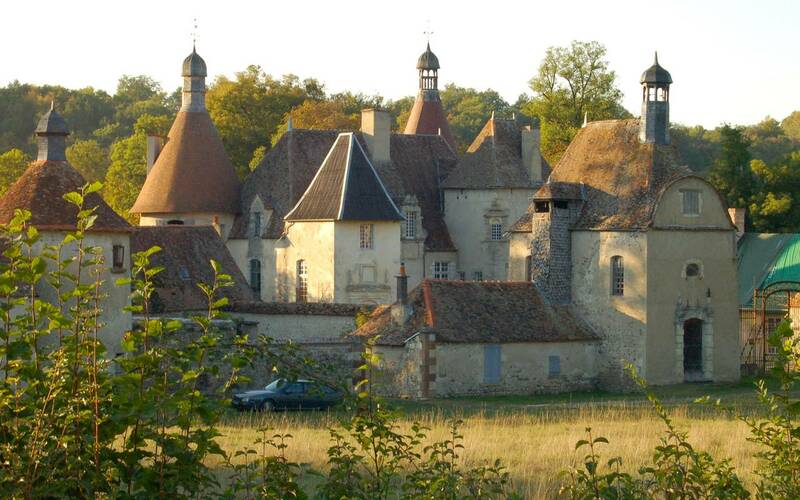 The 14th-century Château d’Ainay-le-Vieil is the only château owned by Jacques Coeur that is now open to visitors. It features a main gate, ramparts with a wall walk and nine towers, and accommodation. Stunning gardens. 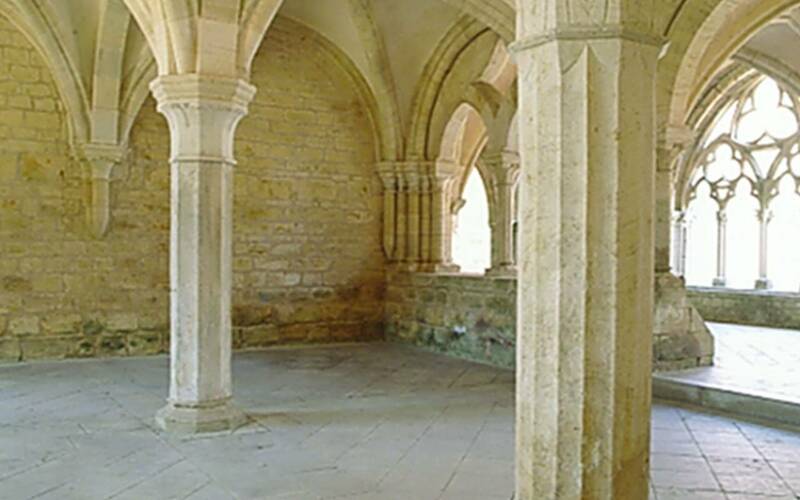 This remarkable Cluniac priory is located in the centre of the medieval town of Souvigny. 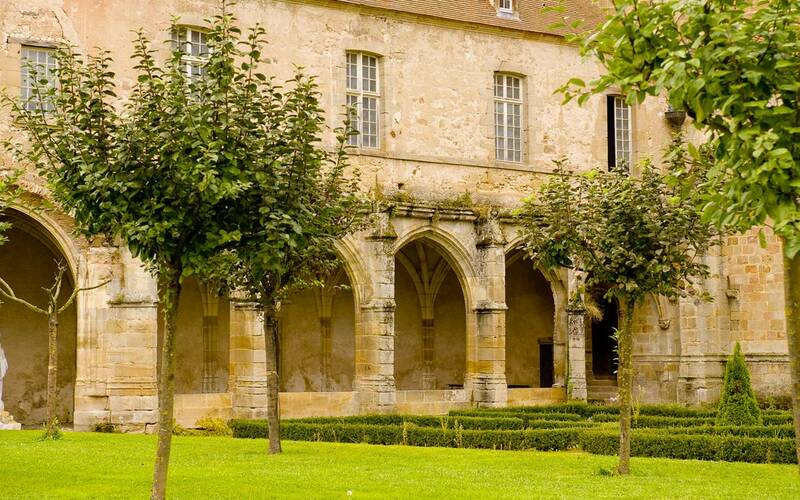 Explore the recently renovated Church of St Pierre St Paul with its royal tombs, the priory gardens (French formal gardens, with rare vegetable varieties, and medicinal and aromatic plants) and the Musée du Pays de Souvigny. Noirlac Abbey was built by monks in the 12th century, and its minimalist architectural style reflects the asceticism practised by the Cistercian order. Major restoration work completed in the 20th century. Open from March to December, 10 am to 6:30 pm, closed in the mornings in March and November/December. 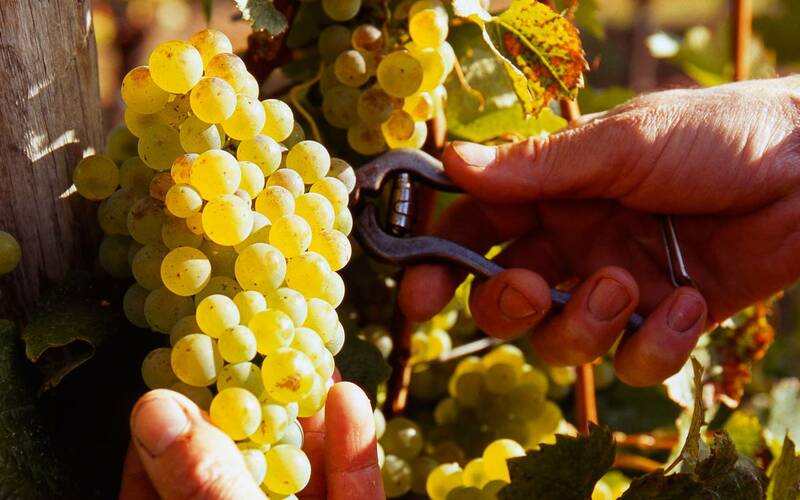 The Saint-Pourçain vineyard was awarded the AOC (controlled designation of origin) label a few years ago, and produces white wines (Trésailler, Sauvignon and Chardonnay), red wines (Gamay and Pinot Noir), rosé wines and wines made using traditional methods. The 630 hectares of vineyards are managed by 20 wine-makers and a cooperative cellar. A small, uniform, medieval village on the banks of the Allier, were the quarry-workers lived and worked. 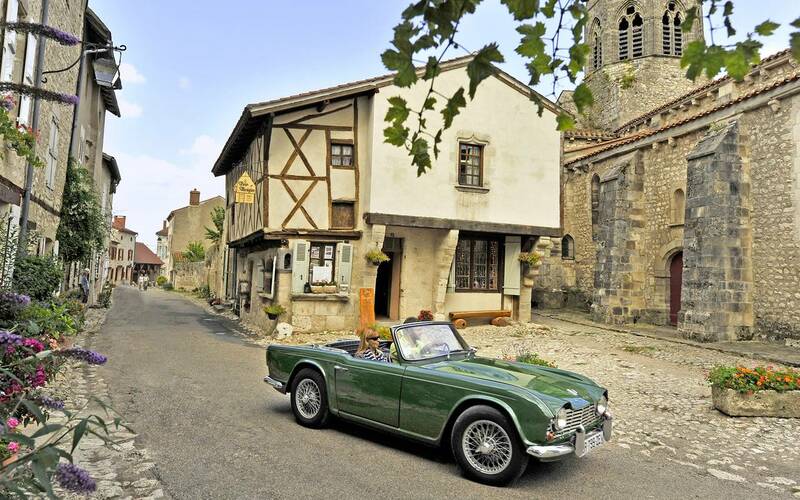 Recognised as one of the "Most Beautiful Villages in France". The "Jardin Remarquable" is a floral garden with mixed borders, shrubs and perennial plants with white flowers, a spectacular row of wisteria, and small decorative constructions (Chinese, Turkish and Russian). Orsan Priory was founded in the 12th century and contains traditional cloistered gardens that were entirely recreated in a modern style in 1993. It features woven beds, fences and gazebos that create enclosed spaces and mazes and celebrate the art of gardening. The Arboretum de Balaine combines the structure of 19th-century English formal gardens and collections of exotic plant species. Open access to the grounds and gardens. Remarkable trees: unique species of conifers and broad-leaved trees. Trees and shrubs for sale on-site. Fête des Plantes: third weekend in April. 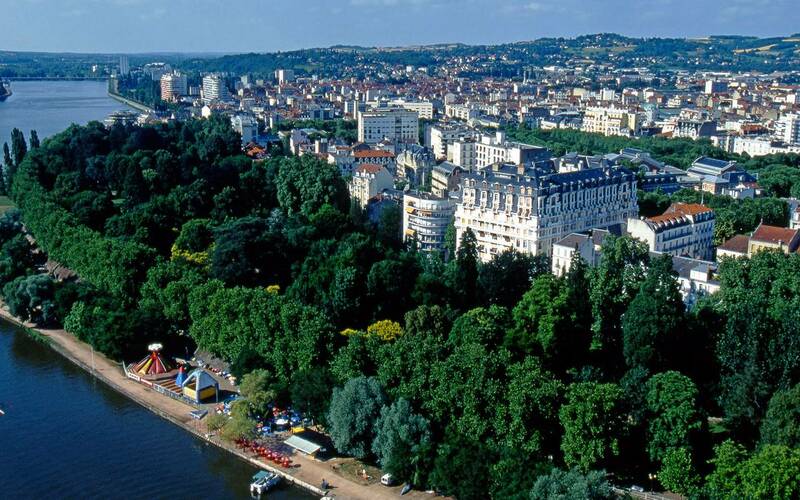 Vichy is the Allier's most popular tourist destination, with thermal baths, sumptuous buildings, parks and gardens, opera house, racecourse and luxury boutiques that give it the air of a continental French Riviera. Horse-riding at the Ecuries du Château d’Ygrande horse stables (riding, lessons and courses in show-jumping and dressage). The Haras du Château d’Ygrande stud farm is open to visitors who wish to ride, take a beginner's lesson or practise their show-jumping or dressage skills. Open from Tuesday to Sunday morning. All-terrain bicycles are available to hire. Gentle or more challenging routes, from 12 to 50 km, are available at reception. A picnic ruck sack can be ordered the day before. This price includes our collection and return insurance in the event of a technical problem with your bicycle. 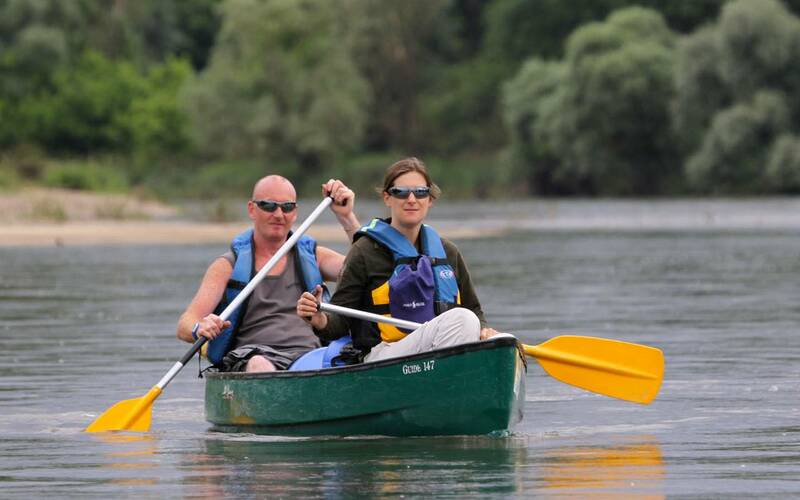 Take a canoe ride along the Allier – Europe's last wild river – and explore the peaceful countryside with its hidden treasures, including rare plants and the famous bird sanctuary. Prices: half-day €16, full day €22, including hire of equipment, life jacket, Topoguide guide book, navigation instructions and return transport. A magnificent 18-hole golf course, part of which is contained with the grounds of the Château de Nassigny. Total length: 5275 m, par 70. Hire of equipment, trolley and buggy. Beginner and advanced lessons and courses. Practice. Club house and food available. Tronçais Forest: the finest oak tree forest in Europe. Undergrowth trails searching for large animals (stags, does, bucks, wild boar). Tronçais Forest is the ideal place for short walks. 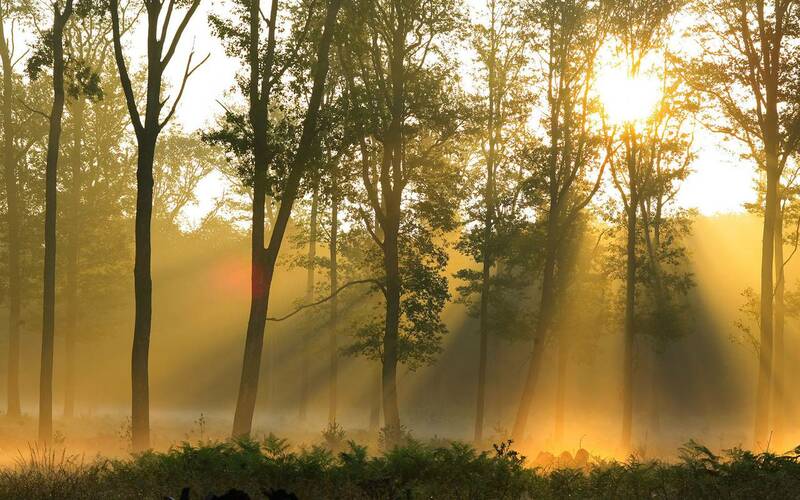 It covers 11,000 hectares and is one of France's largest forests. It is famous for its ancient oaks, providing stave mill operators with the finest-quality 40-metre, 250-year-old logs, which are used to manufacture the world's most famous wine barrels: the "Tronçais". A range of maps and routes are available, allowing you to set off and explore one of the forest's 40 fountains, walk around one of its many lakes, or gather mushrooms (when in season). 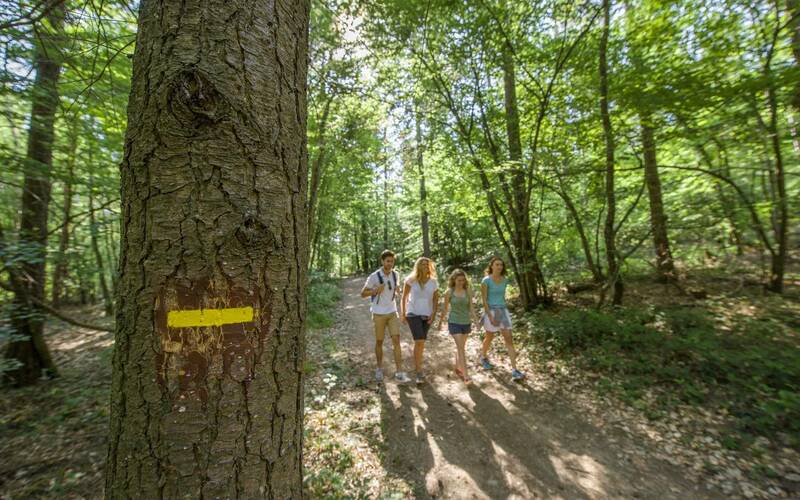 Walkers can venture into the depths of the Tronçais Forest in search of large animals. 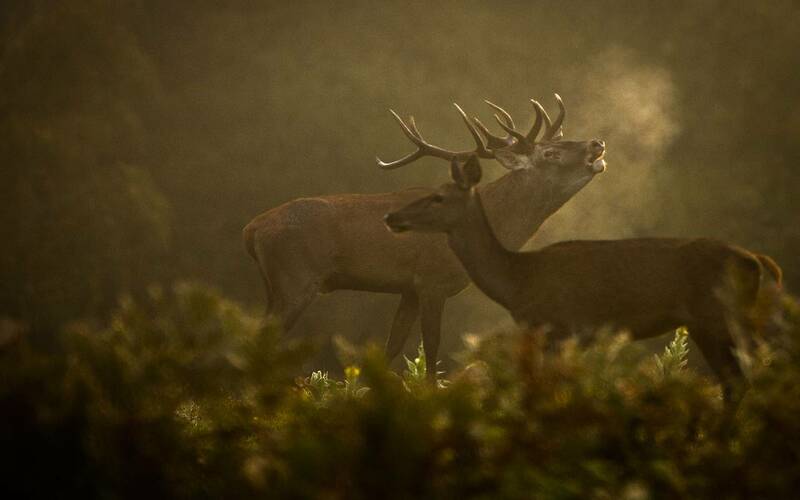 In autumn, the entire forest reverberates to the cries of deer during the rutting season. At dawn and dusk, you may even catch sight of the deer in the flesh. It is a truly captivating spectacle, with raucous cries that tear through the half-light, the trembling leaves, the scent of moss and brief glimpses of the animals through the trees (not recommended for young children). Come and learn a new skill or perfect your techniques by spending a day with our head chef. Around 2h30 of practice in small groups (3-6 people, the Château d’Ygrande reserves the right to postpone the lesson to another date if under-subscribed). Invite your friends and family to discover your culinary skills for themselves. Price: €45 per session, including a recipe leaflet and a certificate. The lesson timetable is managed by the Château d’Ygrande reception. Lessons take place at the start and end of the season.